The exhibit consists of documents, art and documentary photographs,weapons, mines and explosive devices, war maps, commands, parts of military equipment, authentic recordings, video materials, the original flag which waved on Srđ in 1991, mine fields maps, war log books and many more. 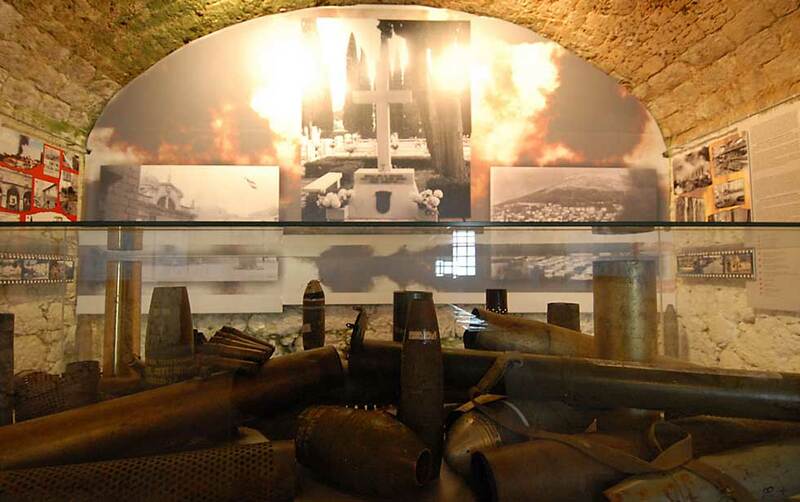 Homeland war museum will give you detailed insight into agression on Dubrovnik and make you wonder: "Why?" We have partnered with Viator to bring you the best prices on tours! Tour will open in a new tab.